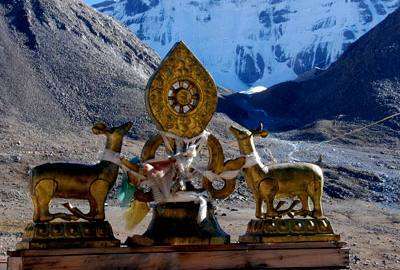 This exotic 7 days Kathmandu to Lhasa overland tour offers amazing views of the Himalaya and the picturesque Tibetan landscape and scenery. The visit to the old cities such as Lhasa – the capital city of Tibet, Gyantse and Shigatse, will give you a complete insight of Tibet's religion, cultural treasures, and dreamlike landscape. The most highlighted point of this Kathmandu to Lhasa Tour by Road is Everest Base Camp en route will be a life-time memory to overcome you and get higher to the top of the world. Kathmandu to Lhasa distance is 700 miles drive by bus or 4WD drive. The friendship highway, which runs all the way from Lhasa to Kathmandu via Zhangmu – Kodari border has remained closed due to Nepal earthquake April 2015. Now we follow the newly opened Pasang Lhamu high way from Kathmandu to Rasuwa Gadhi boarder for Lhasa road trip from Kathmandu. The total length of the road drive will be 1125km. Monsoon rain may affect the road in Nepal section if one is driving during rainy season. If you have viewed the scenery of Himalayas in Nepal, the Everest Base Camp in Tibet can be ignored from the tour itinerary. It takes 3 nights 4 days to get to Lhasa then stay in Lhasa for 2-3 days to visit Lhasa’s cultural heritages highlights. 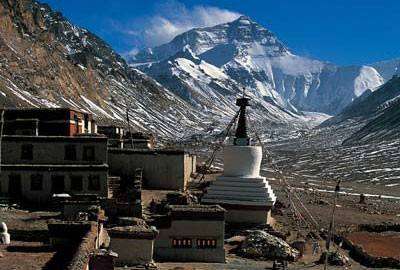 It is said that Kathmandu to Lhasa distance via Kerung is to be shorter. Now tourist can enter Tibet by land driving from Kathmandu to Rasuwa Border (Kerung). The Overland drive in tour had been closed since 2015 earthquakes but it is the boarder reopened between Nepal and China (between Rasuwa and Kerung also spelled Gyirung by Chinese) and travel agencies operate Lhasa tour by road drive from Kathmandu. It could be ideal for adventure lover and keen budget travelers. After visiting Tibet, one can return to Kathmandu by flight or take the new Qinghai-Tibet train to Xi'an, Beijing, Shanghai to reach China Mainland. Visa and Permits: from Kathmandu to Tibet, you must firstly obtain Tibet Entry Permit and visa invitation letter from Tibet Tourism Bureau, then to hand in the documents to the Chinese Embassy in Kathmandu for group tourist visa, tourist visa is valid up to 30 days. We wilderness Excursion – a Nepal based certified travel and trekking agency in Kathmandu can handles all your travel needs for Kathmandu to Tibet tour by overland and flight transportation. Day 04: Shigatse - Gyantse (3950m),90Km, 4-5 hours drive. Day 05: Gyangtse (3,950M) to Lhasa (3,650m) 261 KM 05 -06 hrs drive. Day 01 :Drive to Gyirong/Kerung from Kathmandu We drive to Gyirung, also known and spelled as Kerung by Nepalese. We drive through Pasang Lhamu high way road from Kathmandu passing by Syabrubesi - the starting point of famous Langtang Valley Trek. We still continue to Rasuwagadhi Nepal - China boarder, after customs formalities, we will be picked by our Tibet travel agency representative and take to Gyirung and transfer to Guest House. It will be 240km long day drive. Day 02 :Drive to Tingri (4300m) Today after breakfast, you will be transferred to Old Tingri (4300m) from Kerung. En route, you will enjoy the stunning view of Mount Everest (considering the growing high altitude from 2700m to 5200 of the EBC, we arrange the Everest view on the way and the sightseeing stand near Old Tingri instead of Mt. Everest base camp) spend overnight in Tingri. Today, we drive 300km. Day 04 :Shigatse - Gyantse (3950m),90Km, 4-5 hours drive. After Breakfast Morning Sightseeing to the Panchen Lama’s Tashilhumpu Monastery. 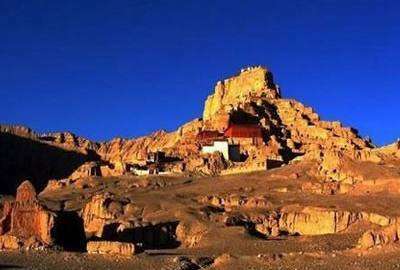 Drive to Gyantse and visit Kumbum Stupa and Phalkhor Monastery.Palcho Gompa (sometimes called also Pelkhor Chode) surrounded by high walls, in the middle of which is situated Kumbum - the largest chorten throughout Tibet. Stay Overnight at Hotel. Day 05 :Gyangtse (3,950M) to Lhasa (3,650m) 261 KM 05 -06 hrs drive. After Breakfast full day picturesque drivecrossingoverKarola(5,010m),Kambala(4,749m),Colorful Yamdrok- Tso Lake and the Tibetan lifeline river Brahma Putra (Yarlung Tsangpo).Stay Overnight at Hotel. Day 06 :Lhasa sightseeing: Potala Palace, Jokhang Temple, Bahkor street Today's tour will first bring you to the Potala Palace which is the winter palace of the Dalai lama. 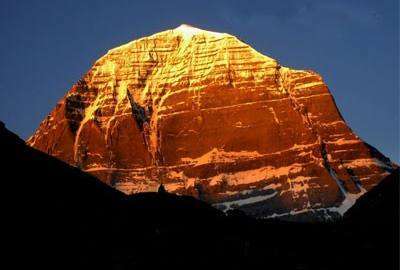 It was put to use since the 7th Century by the 33rd great king of Tibet. The most valuable collections of Potala Palace are the gilded burial stupas of former Dalai Lamas and meditation Cave of the 33rd great king of Tibet. Then after lunch, tourists head to Jokhang temple which was founded by the 33rd great king of Tibet in the 7th century. Inside you can see the statue of Buddha Sakyamuni at the age of twelve. Outside, you can see pilgrims making prostrating in front of Jokhang Temple. Around the temple is Barkhor street, where you can do kora (a religious circle of a building or mountain) with pilgrims and locals, and explore the old market. Stay overnight in Lhasa. Day 08 :Lhasa departure. Your Tibet tour comes to end now, our guide and driver will drop you off at airport in Lhasa. 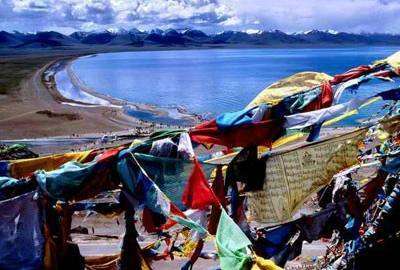 Welcome to Tibet next time. Departure from Lhasa or next destination. 6 Nights, twin room in the 3 star hotel or guesthouse as per package price. Airport transfer on the last day. Travel vehicle according to group size, fuels and parking fee. All attraction entrance fees mentioned in itinerary. All breakfast during the tour as per itinerary. All meals for your guide and driver. Lunches and Dinners durign the tour. Air or train/jeep tickets from Lhasa to further destinations. Chinese visa fee: USD 85.00 : For Asian and Europeans, USD155.00 for Canadian, USD 175.00 for Americans.